Anyway, I almost forgot to show you my beautiful new skirt from Jigsaw; isn't this just the most gorgeous colour you've ever seen!? It's so rich and vibrant, I was drawn to it on the website immediately and felt like it would really compliment a lot of my other clothes. Because it's beaded it feels rather "dressy" but I may bring it to Glastonbury anyway and try wearing it in a more relaxed way... I really love the shape too, it's very flattering. I'm not really into festivals but I love Germany, Berlin has so much history! 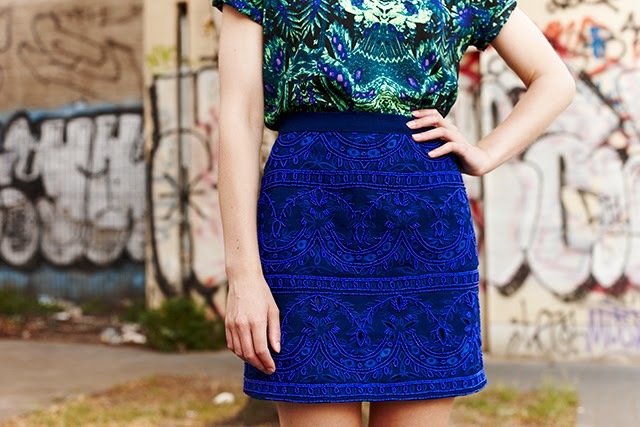 I love your gorgeous skirt from Jigsaw. you can tell its of good quality. You're looking great! So perfect! I really like your style!